Nikki Beach Barbados will sit on 1.4 acres of pristine beachfront property and mark the entry of the first luxury beach club property in Barbados. This intimate beach club location will consist of a restaurant, pool and beach access with oceanfront seating for up to 200 guests. The beach club will run along the shores of the ocean and will be elevated to ensure spectacular water views throughout the entire property. Yachts will be able to dock directly at the location and water shuttle service will be offered as well. Nikki Beach Barbados will offer the same look and feel as other properties from around the world, featuring an inviting design of all white with wood accents. The designs will highlight stone elements sourced from the region as well as Caribbean features thought out by well-known builder Jada Group. An impressive runway feature will be present poolside for Nikki Beach’s fashion shows and quarterly “What Women Want” events. Various amenities will be featured on property including a Nikki Beach Lifestyle Boutique, which carries branded polo shirts and t-shirts, luxury designer clothing and swimwear for men and women, and towels, hats, beach bags, accessories, music and more. A concierge, valet service and ample parking both on and off property will be available to guests. All white sunbeds and VIP cabanas will anchor the space where guests can indulge in Champagne, refreshing cocktails and delicious food with locally sourced ingredients. Nikki Beach will bring its sought after musical culture to the island with resident DJs and musicians, featuring dance, lounge and signature Nikki Beach beats. An in-house saxophonist, percussionist and violinist, among other musicians, will create an exciting atmosphere that lends itself to great memories. Nikki Beach Barbados will serve daytime and seaside dinner service. 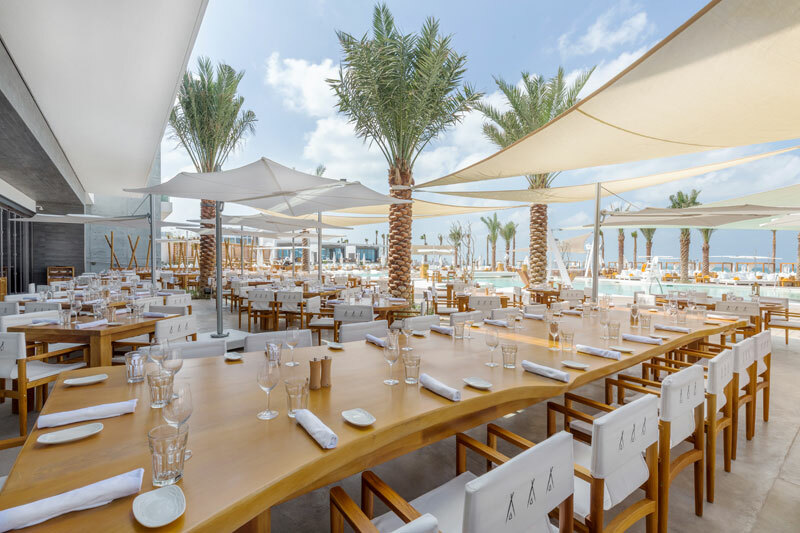 Nikki Beach’s global dining philosophy incorporates approachable cuisine that is healthful, beautifully presented and prepared with simplicity in mind. Nikki Beach’s Director of Culinary Operations, Chef Brian Molloy, is dedicated to using seasonal, local ingredients that are organic whenever possible to create farm-to-table dishes that support the Barbados community. 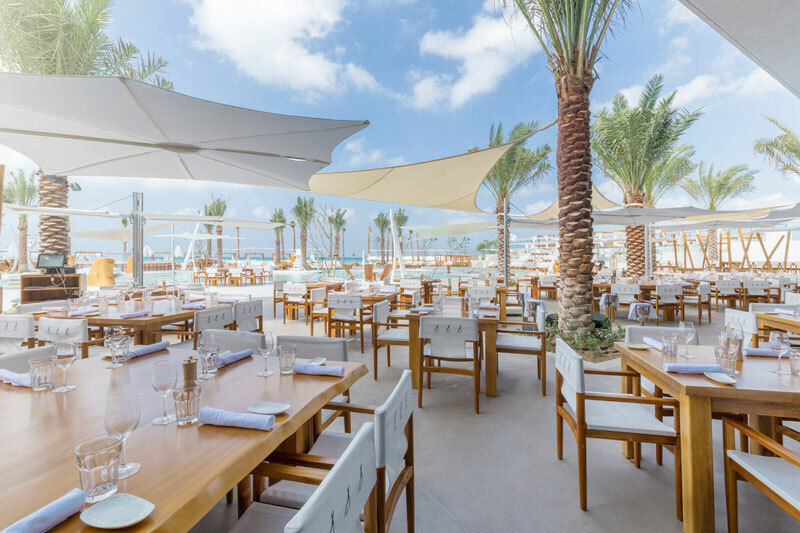 The Nikki Beach culinary team will work with local fisherman to offer the freshest Caribbean catches including flying fish, lionfish, barracuda and kingfish, prepared to highlight the integrity of the seafood. While approximately 60 percent of the menu will feature Nikki Beach’s signature dishes, 40 percent will be developed by the Barbados Chef de Cuisine under the guidance of Chef Molloy. Oversized, sharable seafood platters, impressive Nikki Beach sushi boats, organic chicken, rotisserie pork and ceviche will be made with a Caribbean flair. To mark entry into the market, Nikki Beach hosted a pop-up event at the Barbados Invitational Open Polo 2017, and looks forward to coming to the island permanently at the end of the year. For more information on Nikki Beach Worldwide, please visit www.nikkibeach.com. Nikki Beach can now be experienced in: Miami Beach, Florida, USA; Saint Tropez, France; Saint Barth, French West Indies; Marbella, Spain; Marrakech, Morocco; Koh Samui, Thailand; Mallorca, Spain; Ibiza, Spain; Porto Heli, Greece; Monte Carlo, Monaco; Dubai, UAE; Bodrum, Turkey and Versilia, Italy. Nikki Beach has a pop-up location during the Cannes International Film Festival. The Hotels & Resorts division has properties in Koh Samui, Thailand; Porto Heli, Greece; Bodrum, Turkey and Dubai, UAE.